I finally received my People Magazine in the mail Friday. 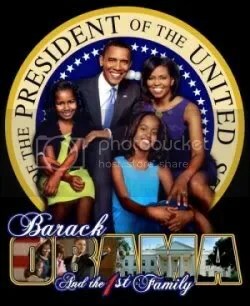 I had no idea the Obamas would be on the cover when I blogged about the interview last Thursday. The Obama article consists of eight pages of information about their home life and plenty of pictures of the Obama family. You can buy People Magazine at your local grocery store, bookstore or newstand.